What are Large Conference Calls and How does it Benefit You? Conferencing is a tool of sharing information among remote groups around the globe via audio calls which aids quicker and inexpensive service mainly in the business and professional sector. Its capacity varies according to the nature of the strategic meeting, the respective agenda, number of participants involved, budgeting, time frame, quality, and features provided. 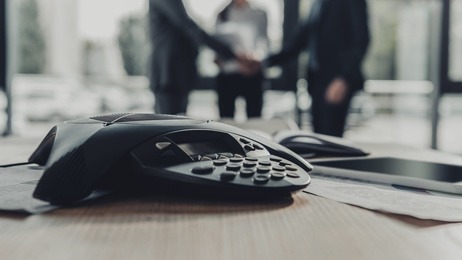 Typically, large conference call services are used when the attendees to a conference call are up to thousands in number, especially on an event. A detailed insight to such facility has been summarized below. Various business organizations streamline large conference calls when it comes to achieving their objectives, pertaining to some predefined goals. There could be many reasons why the use of conference calls are on a large scale. Among these are the need to propose updates, create a timeline or action plan for a particular project, define company meetings, report finances, ongoing activities, vacancies, and recruitment opportunities for internships. Giving updates on the company’s training, their existing status, and current workload of employees, or any important issue that needs to be addressed to the entire chain of a particular organization that runs globally or locally, are also included. If there is a need of global interaction among dozen investors, executives, managers, and analysts, then travel expenses like accommodation, meals, tickets, and the time required will be significantly higher. This, in turn, will not only be financially draining but mentally and physically as well since that time could have easily been used on other pressing tasks. This is why one of the biggest advantages of conducting a large conference call is saving both time and money, each precious in their own domain. In addition, maximizing the multiple features associated with large conference calls can help you do certain activities more efficiently. Recording conversations in high quality to be used over and over again by those who could not attend is one important advantage. This eliminates the need to take notes which can easily be misplaced during the conference. Regular communication through these calls will also help build a relationship between executives and employees. Furthermore, this will also aid in improving the connection between office employees and remote ones if the company has some. Unlike through emails or letters, the meeting and discussion are all done in one seamlessly organized and executed event with a crystal clear set of instructions and easier accessibility. A successful execution of conferencing, be it a large scale or a small scale event, is based on the amount of efforts put into it. This will not only be fruitful to the organization but this can also maintain a corporate culture and ambiance for a smooth conduct of tasks by its employees. This leaves no margin for unprofessionalism.